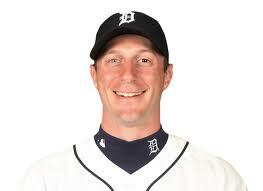 At 19-1, Max Scherzer of the Detroit Tigers is compiling one of the all-time Major League Baseball records in 2013. (For cricket followers: The record indicates this pitcher is credited with nineteen wins against one loss.) If the trend continues, Scherzer will better the 18-1 mark of Roy Face in 1959. Face was credited with this record completely as a relief pitcher, throwing something like a mere ninety innings. By contrast, Scherzer is a starter. Fifty years ago, Sandy Koufax went 25-5. Facing Koufax in the World Series, Yogi Berra quipped, “I can see how he won twenty five. What I can’t understand is how he lost five.” Yogi’s long-time Yankees battery-mate, Whitey Ford, was 25-4 in 1961, and Ron Guidry went 25-3 in his greatest season, 1978. In 1968, Denny McLain was 31-6 for the same club Scherzer pitches. Perhaps no two-year dominance will equal Lefty Grove’s. In 1931, Grove was 31-4. In 1930, his won-loss record was 28-5. Grove won fifty-nine of sixty-eight decisions over two seasons in a decade better known for batting records. In 1904, Jack Chesbro may have lost twelve games; but this was out of fifty-three decisions. His forty-one victories is almost as astounding as his forty-eight complete games, a mark no current starting pitcher will achieve over a career. This entry was posted in Baseball, Cricket, Right Off the Bat Website, Yankees and tagged Denny McLain, Detroit Tigers, Jack Chesbro, Lefty Grove, Major League Baseball, Max Scherzer, Ron Guidry, Roy Face, Sandy Koufax, Whitey Ford, World Series, Yogi Berra. Bookmark the permalink.